3. I Want You Back Click to play this song! 10. Old Joe Clark Click to play this song! Listen to over forty women singing and playing original bluegrass tunes written by Tom T. and Dixie Hall. 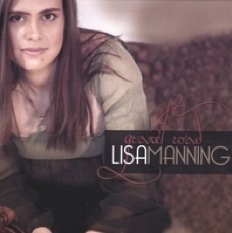 This CD features Lisa on many tracks playing fiddle. It also features Dale Ann Bradley, Heather Berry, Valerie Smith, Lorraine Jordan, Tina Adair, Kristen Scott Benson, Becky Buller, Sierra Hull, and lots more! 3. Keep On Walking Click to play this song! 17. Take Me With You Click to play this song! Featuring: Marty Raybon, Cia Cherryholmes, Blake Shelton, David Spicher, Derek Deakins, Daniel Grindstaff, Aubrey Haynie, and many more! Email Lisa 5. The Tractor Song Click to play this song! 8. Forecast Of My Heart Click to play this song! This CD features twin fiddle arrangements of your favorite bluegrass tunes and includes special guests Bobby Osborne, Blake Hopper, Michael McLain, Molly Skaggs, and more! 3. Southern Flavor Click to play this song! 15. Bill Cheatam/Monroe's Hornpipe Click to play this song! Copyright © 2019 Lisa Deakins All Rights Reserved.